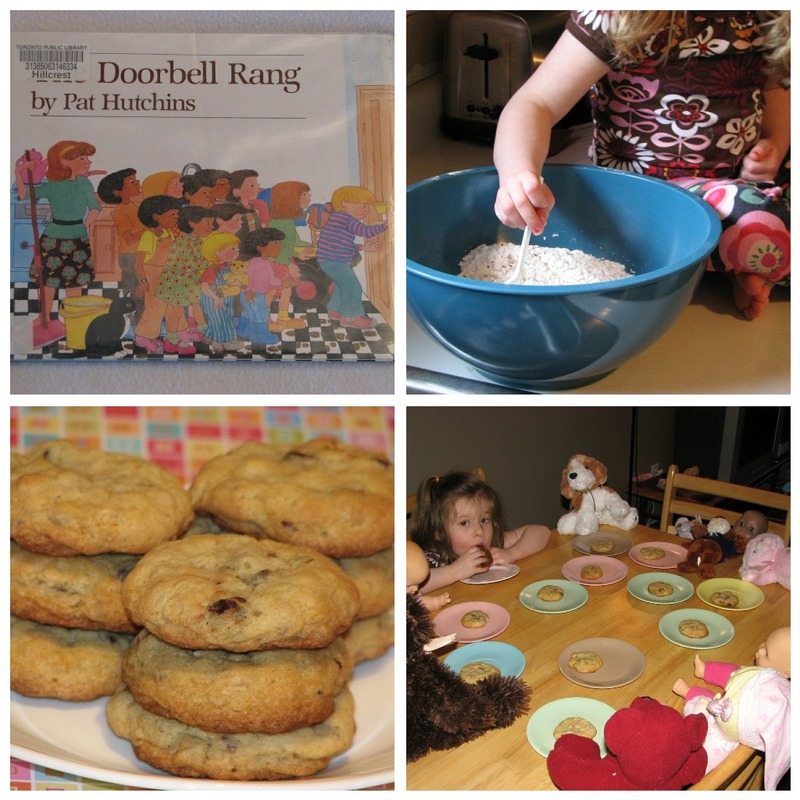 Wouldn't Saturday be the perfect day to make some Oatmeal Chocolate Chip cookies...and read The Doorbell Rang by Pat Hutchins?!? Emily of The Polka Dot Umbrella is here to share of her favorite books, and a delicious cookie recipe. I'm a little ashamed to say that we brought this book home from Goodwill a while ago, but since we haven't read it yet (I keep our thrift store books in reserve so we can pull a few "new" ones out each week.). I had no idea it was such a great math book...and such a good excuse to make cookies. You know we LOVE math books around here. Emily has a lot of great ideas, so be sure to check out past posts. We're getting the gardening bug around here, so I'm super impressed with all the starts Emily shows here. I loved the book post, but I agree with you - I really enjoyed her post on planting seeds from fruits and vegies. I'm intrigued to plant some papaya seeds (rats - I just tossed a whole papaya-full yesterday) and I love the look of that sweet potato vine.